Dynaric ESF1 Pallet Strap Feeding System - Roberts Business Machines, Inc. 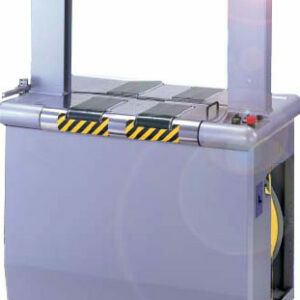 The ESF1 is an economical, easy to use pallet strap feeding system. Equipped with externally adjustable track feed, the ESF1 is the perfect strap feeder for securing outgoing pallets of any size. 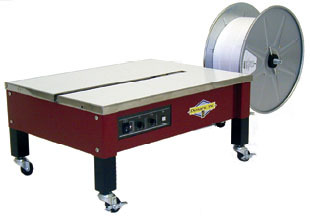 The pallet strap feeder performs the strapping function from one position as you operate the controls, therefore eliminating the need for bending over to feed the strap around the pallet manually. Save time while saving your back!